The new Razer Phone 2 smartphone was made official last week, we saw a video of the handset in action and now we have an unboxing video of the device from Unbox Therapy. In the video below we get to have a look at the design and some of the features of the new Razer Phone smartphone, the handset has has a number of upgrades over last years model. The Razer Phone 2 comes with a a 5.72 inch IGZO LCD display with a QHD resolution of 2560 x 1440 pixels. The device comes with Qualcomm’s flagship mobile processor, the Snapdragon 845 and it also comes with 8GB of RAM. The handset features 64GB of storage built in and it comes with a microSD card slot which offers support for 1TB cards. 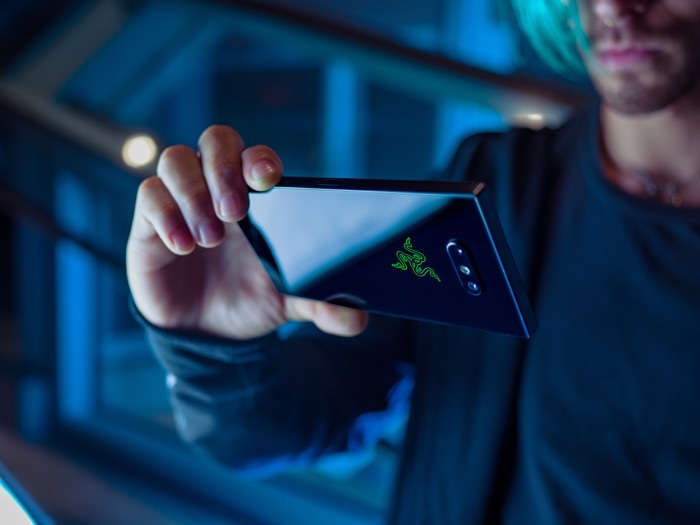 This years Razer Phone features dual rear cameras, there are two 12 megapixel cameras on the back. On the front of the device there is an 8 megapixel camera designed for Selfies and video calls and the handset comes with a 4000 mAh battery and Quick Charge 4.0+, the device cots $799 in the US.